So we are into week two of the H1N1 vaccine program, and honestly I cannot believe what I am seeing. First rule of a Pandemic, DO NOT ASSEMBLE IN GROUPS, Second rule of a Pandemic, DO NOT ASSEMBLE IN GROUPS. What have we learned here? And if you do not know why you should not assemble in groups, simply think of the spread. But not only are they getting people to assemble in groups they are getting people to assemble in groups outside in the cold. So while you and your family stand beside the person that is spreading the flu to you, the cold is lowering your immune response allowing you to absorb that flu even quicker. What we need to remember is that this is a flu, only difference is that it spreads fast. A few years back we had the SARS outbreak which if that had become worst it would have been really bad, at least SARS is a disease that is something we should fear and it kills. The flu kills when you have an underlying illness. The news stated that 100 people have died this year from H1N1 but 100 people probably died during that news program from natural causes. The media has over blown this to the point that the general public is scared out of their minds. 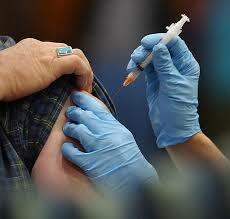 My question is what are the world governments hiding that they needed to scare the whole world with a â€œFLUâ€.